You are here: Home › Sleep Center Blog › Bedding › Sleep Improvement › How often should you wash your sheets? When you snuggle into your comfy sheets each night, the last thing on your mind is what kinds of life might be in and around your bed and bedding. Spores of fungi, bacteria, animal dander, body excrements – like sweat, cosmetics and all sorts of skin cells are everywhere. 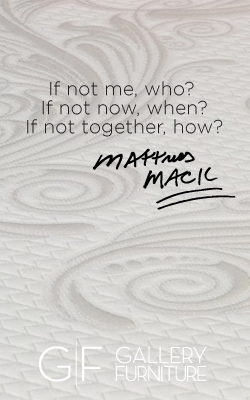 There’s no stopping any of these bed inhabitants, so how do you make sure you’re cleaning your sheets enough? You’ll commonly hear that you should be washing your sheets at least once per week. But if you eat in bed or sleep with pets, you might want to consider washing twice a week. Dogs especially are not hygienic. You can wash your dog every week, but will bring almost everything in from outside. In fact, experts recommend you let pets be pets. Give animals separate beds of their own to avoid any health concerns. Pollen, dirt and even infections can get caught between your sheets causing diseases to spread. Allergens and dust mites continue to grow as sheets go unwashed and may cause allergic reactions. While you sleep, you end up inhaling this debris which may exacerbate existing allergies, or may even help develop new ones. As a rule of thumb, stick to washing your sheets every seven days, but use common sense. If you’re sick, let a pet lay on your bed or sleep in an especially warm environment, you may need to strip your bed more often. And of course, it’s always a good idea to invest in more than one set of sheets. 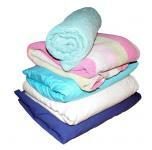 Set water temperature and use detergent as specified on the packaging of your sheets. Avoid using hot temperatures as it can weaken the fibers in your sheets. Use dryer sheets for extra softness. If you have allergies, use a dye and fragrance-free detergent. Store your clean sheets away from direct sunlight in a cool, dry place. To keep sheet sets organized, store them inside a matching pillowcase in your linen closet. Keep your sheets and linens neatly folded.